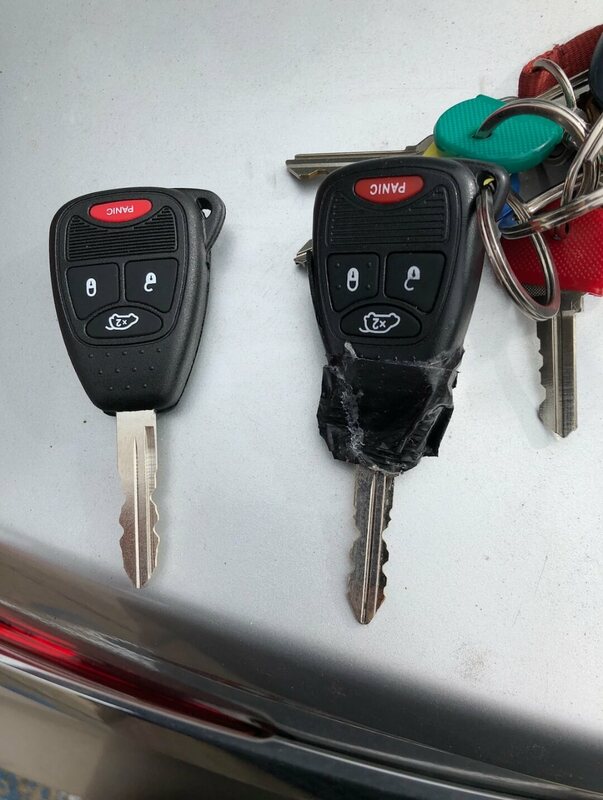 Customer called us to replace her broken remote key. We provided the service at the customer’s house and arrived within 20 minutes. Made a brand new key with remote and programmed on site. As you see at the picture the old remote vs the new one . Job done by Sky lock and doors service automotive locksmith specialist in Houston tx!